Bart van der Sluis, 23 years old from Ijsselmuiden in the Netherlands. Bart is the nephew of Bertus and Helma Boer, Crew member of the Screamin Bobcat Pulling Team and the driver of the Mod Tractors called ,,Double Screamin´, Wicked Screamer and Bobcat Jr.. He´s also won the 2016 Euro Cup title in the Light Mod class with Double Screamin´. Bart van der Sluis: I work as a Project manager at a big machine shop / sheet metal company called Breman Machinery that produces large constructions for mostly on/offshore company’s and besides that a lot of other customers. 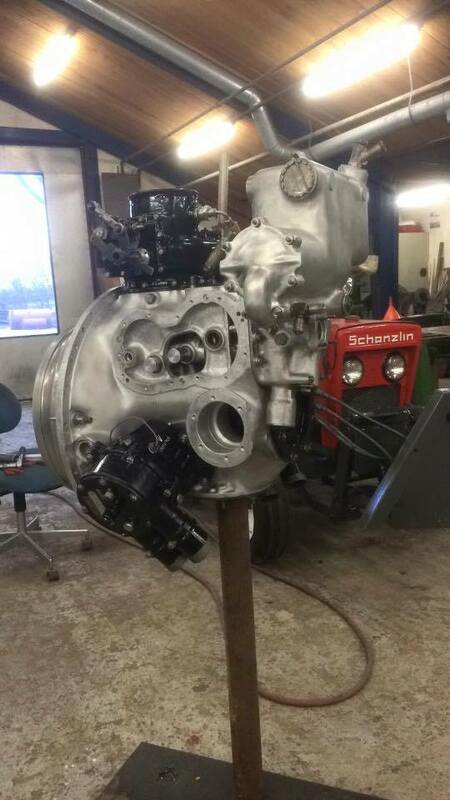 Bart van der Sluis: Besides pulling most of the days I’m at the shop busy with maintenance and building new stuff like the Minis we built now. If I have time left I’ll go out with friends during the weekends. Bart van der Sluis: I like the technical part of Pulling. With our Team we always want to improve our Tractors to make sure we are one step in front of the others. Besides that I love our Pulling Family. It’s always fun to be at the pulls and through the years I met a lot of people in Europe and the USA. Bart van der Sluis: I can’t remember exactly what year it was but I guess it was like 2001 or something. I do remember the Pull it was Lochem (NL). I will never forget it because I had an accident as a young boy on the bouncy castle. 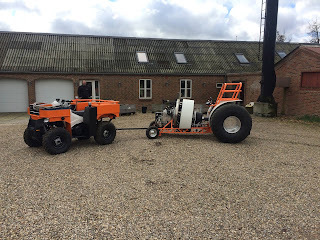 Bart van der Sluis: There are a lot of great pulls. 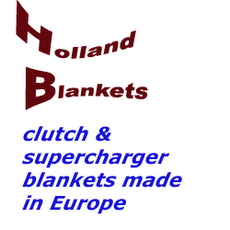 Pulls like Made (NL), Bernay (F) and Bowling Green (USA) are great because of the big crowd. 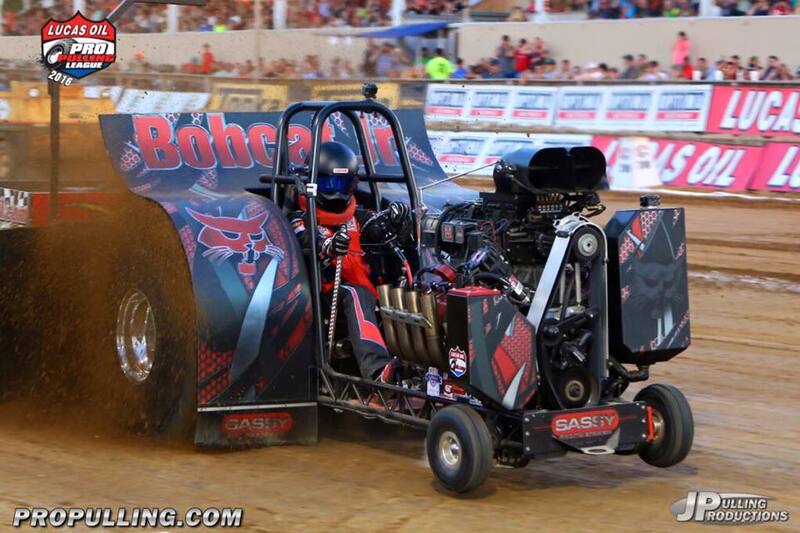 My favorite Pulling track is difficult because most of the years it changes. There are a few Pulls that have a good track most of the years my favorite is Lochem (NL). 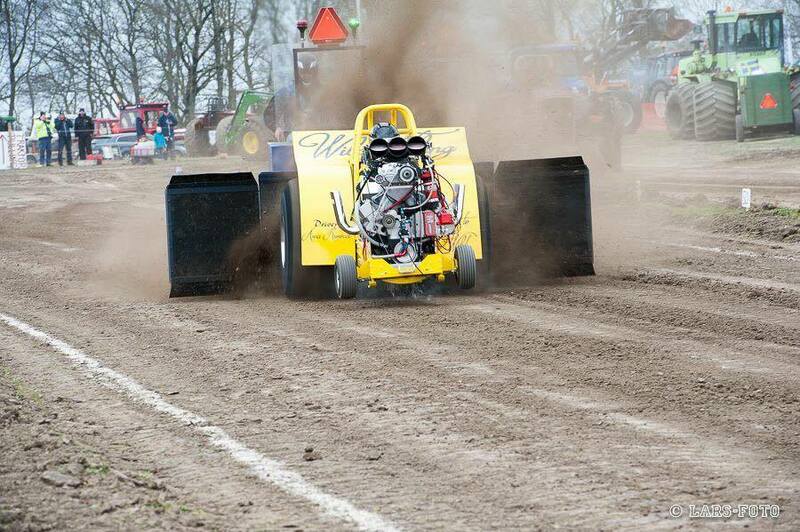 Bart van der Sluis: That was 2012 Bernay (F), back when we had the 2 Wheel Drive. Bart van der Sluis: We had a lot of successes with our team and every one counts. But my own was last year when I drove the complete Euro Cup competition with the Double Screamin and became Champion. Also when I drove the Mini for the first time and won was a great experience. Bart van der Sluis: I like to watch the Super Stock class. It’s a really competitive class with a lot of action. Bart van der Sluis: Hard to say. I'm Not that quickly disappointed. 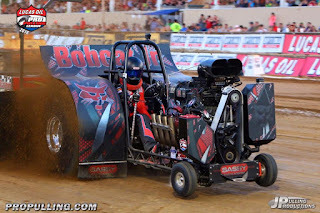 There have bin a few times that we had some bad luck with our Team like we had last year in Bowling Green (USA) at Super Sunday with the Mini. Bart van der Sluis: There are always points to improve and make the sport better. 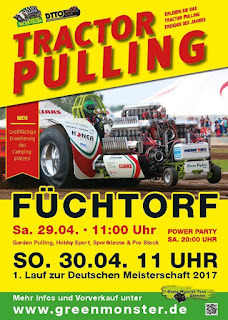 I think we have to promote our sport more in Europe so that people will keep coming to the pulls and keep the sport alive. Bart van der Sluis: I hope we can have a lot of fun the next years with everybody. Also it would be nice that we can further expand our trophy cabinet with some unique prizes we have as a goal. Bart van der Sluis: Easy to say. Started to go to pulling as a young boy and got the opportunity to get involved. Pulling is a big thing in my life so beginning with it was the most important thing. Bart van der Sluis: We never really get bored during the winter. Most of the times during the summer we already make plans. Like last winter was a great one when we designed our own crane to change motors at the pulls next to our truck and all the minis we built for Europe and the USA. Bart van der Sluis: It’s nice to see all different opinions by interviewing all people.You can see that everybody thinks their own way. It is interesting to read and I hope pullingworld keeps continuing to do that. 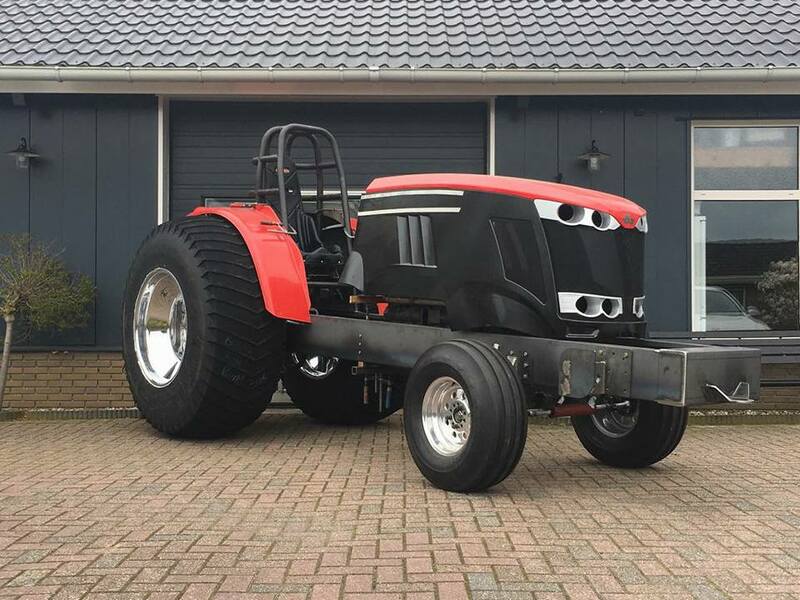 The Brothers Toy Pulling Team around Bert, Jacob and Henk Vos from Nieuwleusen in the Netherlands are currently building on a new Massey Ferguson Component Tractor for the Light Super Stock class. 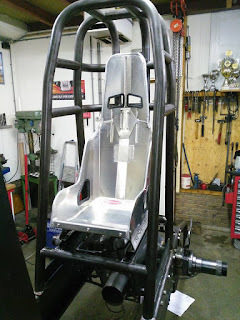 The new Light Super Stock gets a new BB (Berrie Boer) Pulling Parts Domex wedge frame with an BB Pulling Parts chrome-moly ROP (Rollcage), a homemade hydraulic sterring, a Rockwell rearend and a new MF hood. 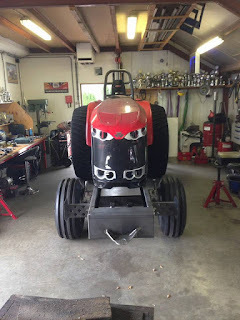 The new hood and the new fenders of the new ride comes out of the new Massey Ferguson 7600 Series. 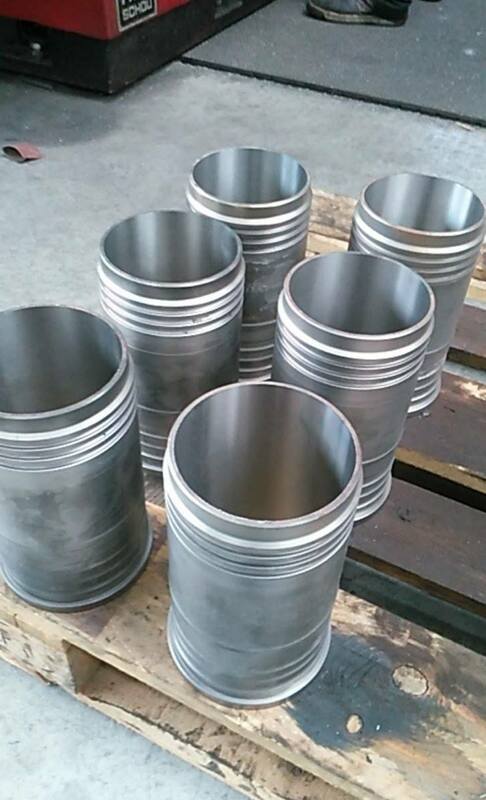 The Domex sheet metal parts for the Chassis were laser cut and bent by Tosec BV. in Zwolle, the Netherlands. 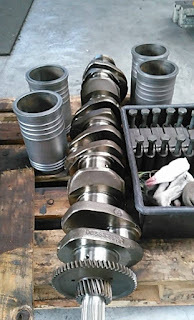 The Rockwell rear axle receives a Humpco aluminium center section with a billet Humpco aluminum differential, a ring and pinion gear from Humpco and MAN planetaries carrier housing with special made MAN planetaries. 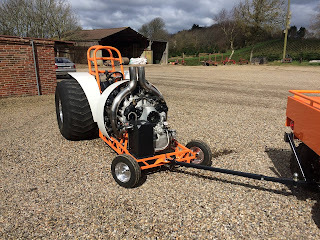 The Tractor also receives a Humpco transmission with a Vreeman Special Products (Bennie Vreeman) driveline, a 11" inch Molinari centrifugal clutch with 4 discs, a Eagle Clutches fly wheel and a Browell aluminium clutch bell housing. 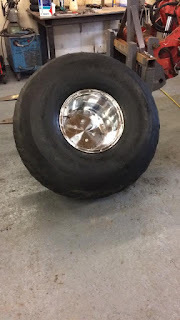 The Dutch Team have purchase for their new Light Super Stock a set of new Keizer Wheels aluminium rims with cut CM Pulling Tires 24.5-32 Firestone Puller 2000 HP Pro Stock tyres from the USA. 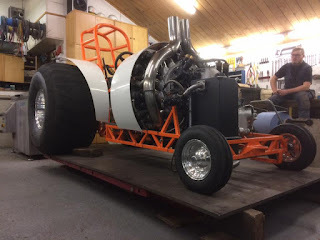 The new Brothers Toy will have an 6 cylinder Sisu engine with 7l capacity on alcohol fuel. The power plant receives a Sisu/Valtra 620 engine block with Sisu/Valtra sleeves, a revised Sisu 24 valve stock cylinderhead with steel camshafts, original Sisu valves and Ferrea valve springs, a homemade intake and exhaust manifold, a Holset HX 82 turbocharger with a 4.25´´ inch intake wheel, a original STD Sisu stock crankshaft with Sisu rods and Zetor pistons, a homemade fuel tank, a VSP (Veldhuizen Special Product) methanol fuel injection system with a Sassy Racing fuel pump, a Peterson oil pump, a MSD 8 ignition and a Racepack data logger. The Vos bros. will compete in the NTTO Dutch National Championship this year. The maiden voyage of the new Brothers Toy is planned for the season of 2017. 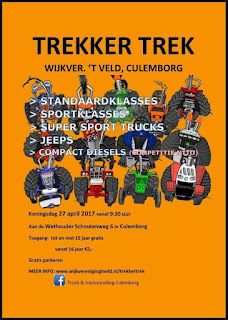 The Brothers Toy Pulling Team would also like to give a big thanks to their sponsors Gencom Products Zevenhuizen, Kooiker BV. 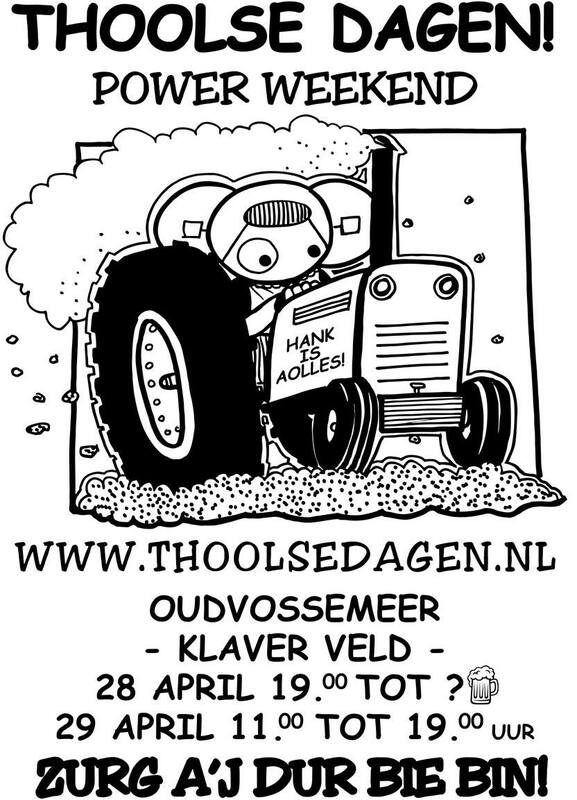 Zwolle, KTB Koning Meppel, Lugtenberg Mechanisatie, Vinkega, Hoekman Metaal Nieuwleusen, Autobedrijf Dingerink Zwolle, Konvi Metaal Staphorst and the Boer Family ! The Wild Thing Pulling Team around Stefan Kronvall and his daugther Anna Kronvall from Ystad in Sweden have built a new 950kg Mini Modified Tractor last year. In 2015, After 4 years in the 3.6t Super Sport class in Sweden, the Swedish Team has decided to make the switch back into the Mini Rod class. Stefan Kronvall was very successful in the Mini Rod class in the past. He won in that class several Swedish Championships, one Euro Cup title in 2002 and the European Championship 2000 in Herning, Denmark. 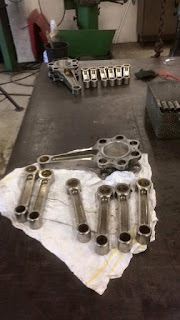 For their return into the Mini Rod class, Stefan bought a complete chassis from Emil Roth (Nasty Toy Pulling Team) and the old blown Ford V8 engine of the formerly Mini Mod called ,,Crazy Witch´´ from Sweden. 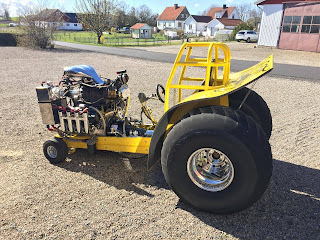 The Tractor has a Strenx 650 wedge frame with a TRB Machine chrome-moly ROP (Rollcage), a homemade steering, homemade aluminium fenders (built by Emil Roth) and a TRB Machine rearend from the USA. The Chassis with the cage etc. is the old ,,Just a Toy´´ Mini Rod of Emil Roth from Ljungbyhed in Sweden. The TRB rearend has a aluminium billet center section with a billet aluminium differential and a special made ring and pinion gear. The new Wild Thing also received a SCS Twin Counter Shaft transmission with a homemade driveline, a Eagle Clutches centrifugal clutch with 2 discs from Christer Örn in Finland and a Probell clutch bell housing. 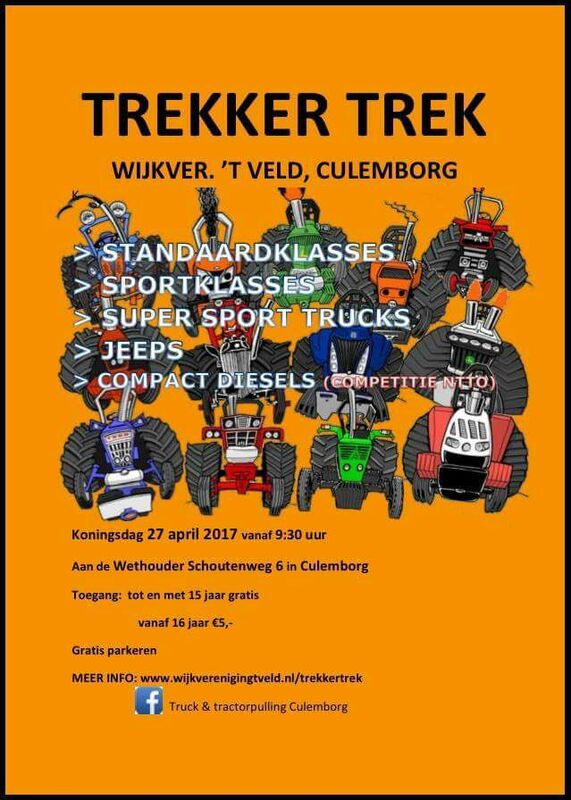 The SCS transmission comes from the Lambada Pulling Team in the Netherlands. 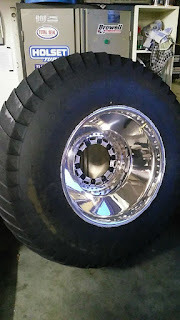 The Swedish Team purchased for their new vehicle a set of new Real Racing Wheel rims with new Pioneer Puller tyres from the USA. 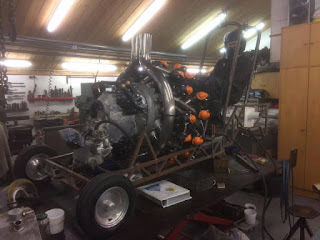 Normely was planned to run the Mini Mod with a blown Ford V8 engine on methanol, but after the first round of the Swedish Championship last year, the engine was ready for the junk yard. 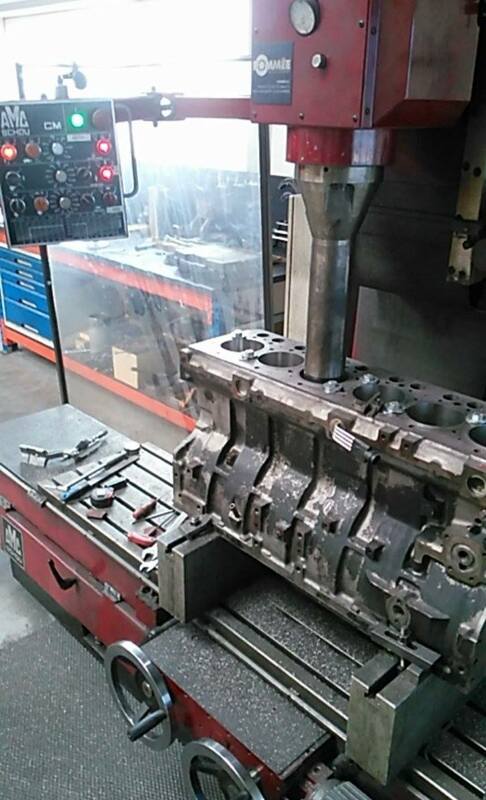 The engine kicked through the engine block a rod out. 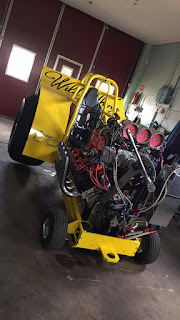 After that the Team purchased a used Hemi engine for their Mini and built that up during the last winter. 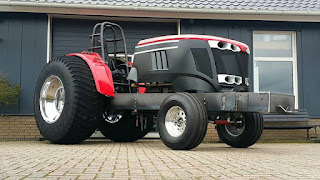 The new Tractor is powered by an Keith Black V8 Hemi engine with 526 cui. on methanol fuel now. The engine has a KB Stage 6 cast aluminium block with Veney cylinderheads, Dan Olsen Racing exhaust headers, camshafts from Sassy Racing, Moroso valve covers, a Winberg crankshaft with billet aluminium MGP rods and Sassy Racing pistons, a SSI 14-71 blower with an Veney aluminium scoop, a Sassy Racing fuel system, a fuel tank from the Burning Baby Pulling Team (S) and a MSD Pro Mag 44 ignition. 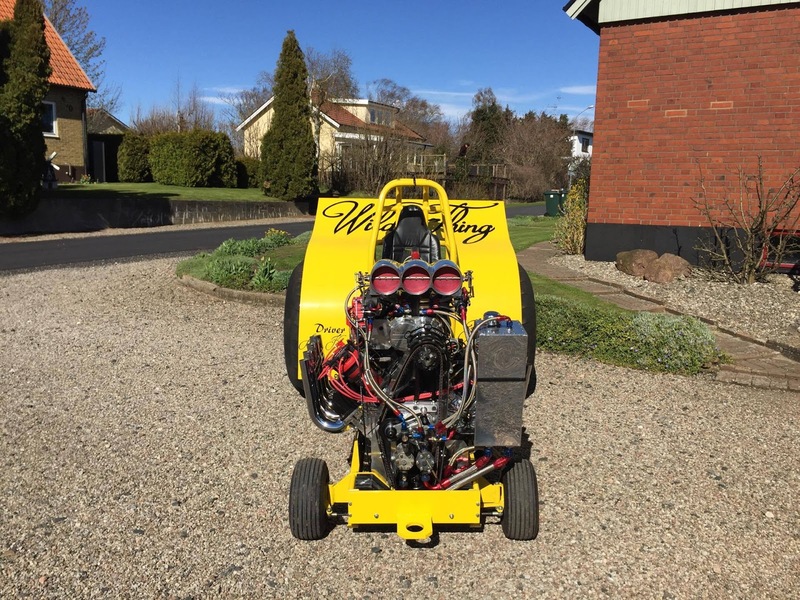 The Wild Thing Pulling Team will compete in the Swedish Championship and in the Euro Cup this year. The first start with the new engine on the Wild Thing is planned for the 19th of May 2017 at the Euro Cup opener in Lidköping, Sweden. Star Wars returns as Black Blood ! 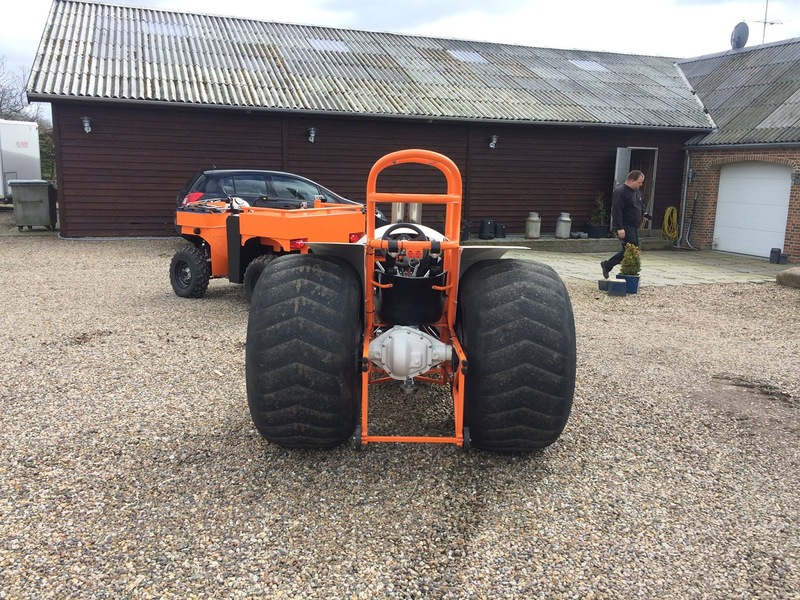 The 950kg Mini Modified Tractor called ,,Star Wars´´ from Denmark return on the Pulling tracks this year. 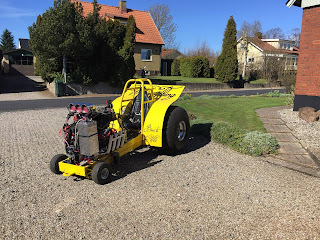 After 15 years in a workshop, the Oil Addict Pulling Team around Preben Juhl, Dennis Juhl and Sigrud Juhl from Vidbaek in Denmark reactivated the Radial powered Tractor now for the Mini Rod class. 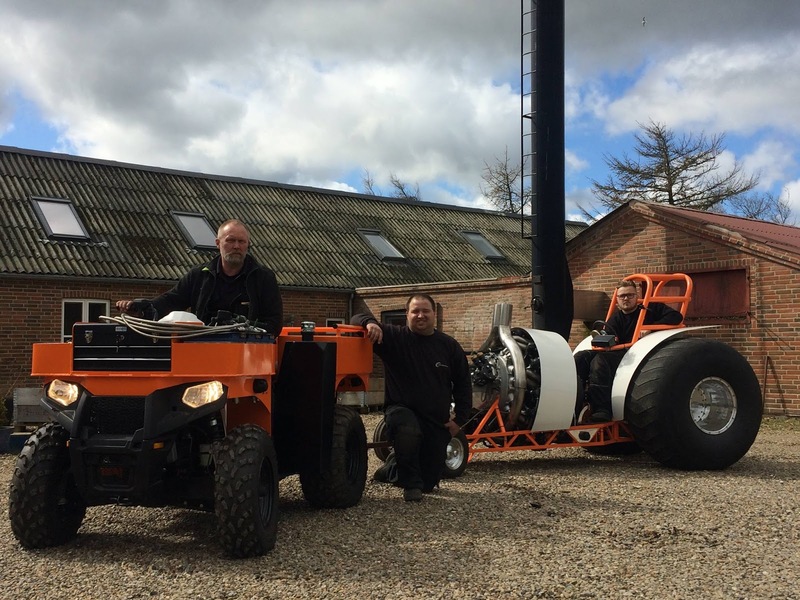 The Danish Team purchased the complete Tractor with the engine from John Carlsen 1 year ago and rebuilt the Tractor completely new. The Mini Rod has steel tube frame with a new homemade steel Rollcage, a Dana 60 rearend, homemade aluminum fenders and a selfmade hydraulic sterring. 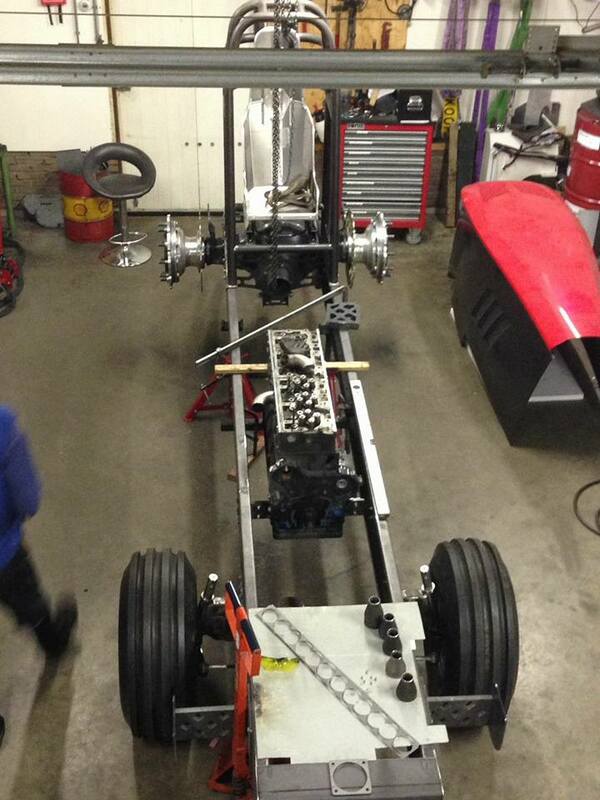 The old Chassis of the Mini was a little bit revised and modified by the Team. The rearend has a Dana center section with a modified Dana differential and a Dana 60 ring and pinion gear. 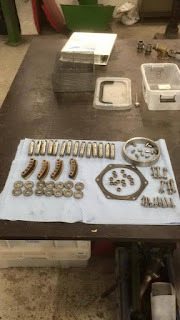 The vehicle also got a new homemade reverser with special made gears, a new lighter homemade driveline, a new Crower 11´´inch centrifugal clutch with 3 discs and a Crower clutch bell housing. The Team purchased for their new ride a set of used aluminium rims with Cepek Giant Puller tyres. The Black Blood is powered by an 18.3l Alvis Leonides Major MK155 engine with 14 cylinder on petrol fuel. 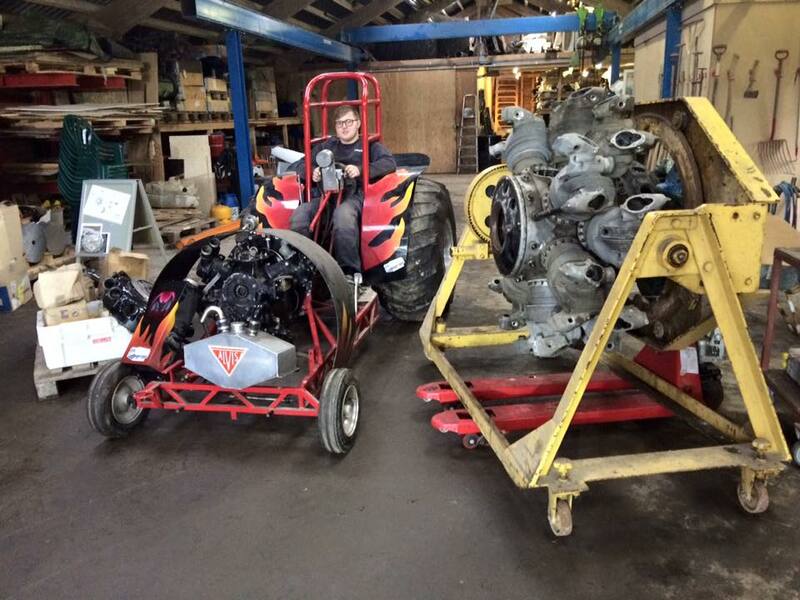 The Alvis engine comes out of a Percival Provost aircraft from the British Royal Air Force. 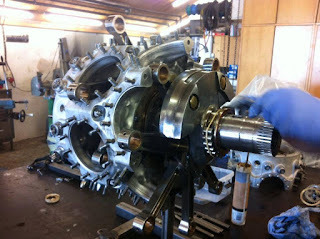 The engines also were used in the Bristol Sycamore helicopter and in the Scottish Aviation Twin Pioneer airplanes. 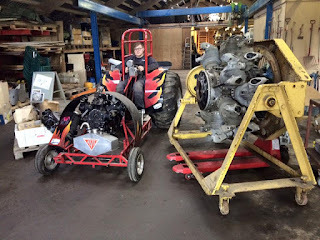 After many years in the barn, the engine was completely dismantled, checked an overhauled during the building time. The engine has a original supercharger, stock rods and pistons, stock sleeves, modified cylinderheads with V8 Racing valves and valve springs, a homemade exhaust manifold, a homemade aluminium fuel tank and a homemade aluminium oil tank for the dry sump lubrication. The Radial engine should be make around 1300 hp. 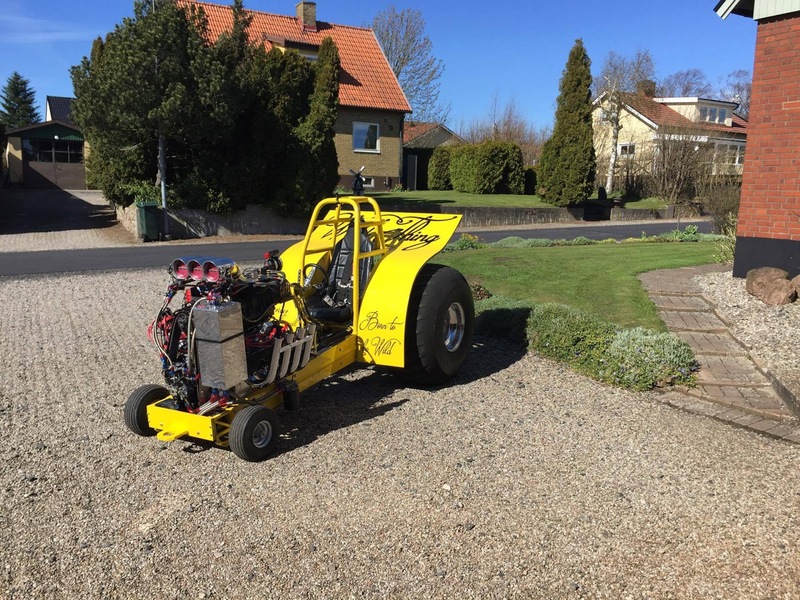 The Oil Addict Pulling Team will compete with the Mini Mod in the Danish Championship this year. The maiden voyage of the new Black Blood is planned for the 6th of May 2017 at the Danish Championship opener in Brande, Denmark. During the last 2 weeks, I´ve found the time to upload the rest of my pics of the Indoor Pull events in Zwolle, Ahoy and Riesa. 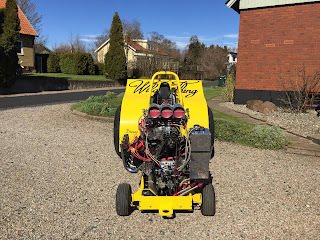 You can find my Pulling pics not only on google photos, but also on flickr now. Füchtorf 2017 Competitors are known ! 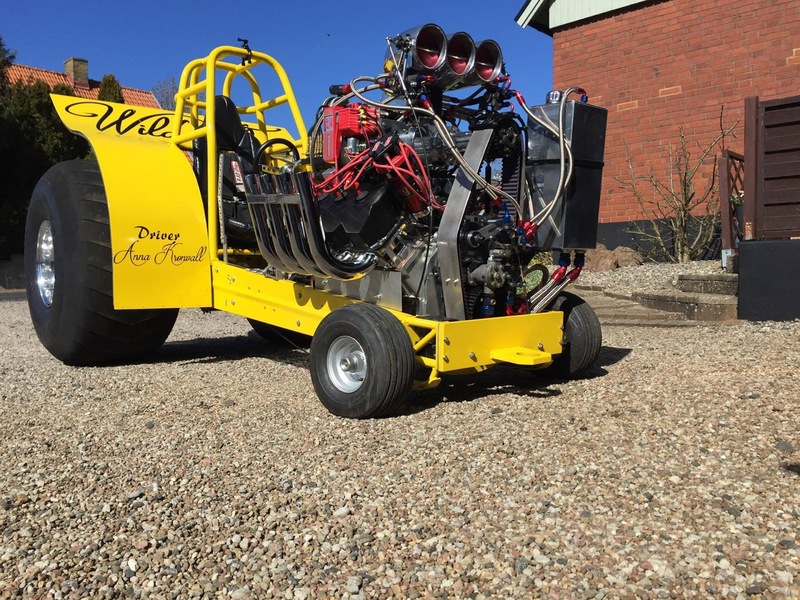 The organization of the Bryne Tractor Pull have decided to organize a 3.6t Super Sport Euro Challenge on the 27th and 28th of May 2017 in Bryne, Norway. The Invitation letter has been sent out to all national associations, but please help and share this event. Sign up within 1st of May 2017. We are ready to give you another great Pulling experience! Ulf Schnackenberg, 44 years old from Oldendorf in Germany. Ulf is one of the most known Tractor Pulling commentators in Europe and he´s announced Tractor Pulling events in Germany for 25 years. 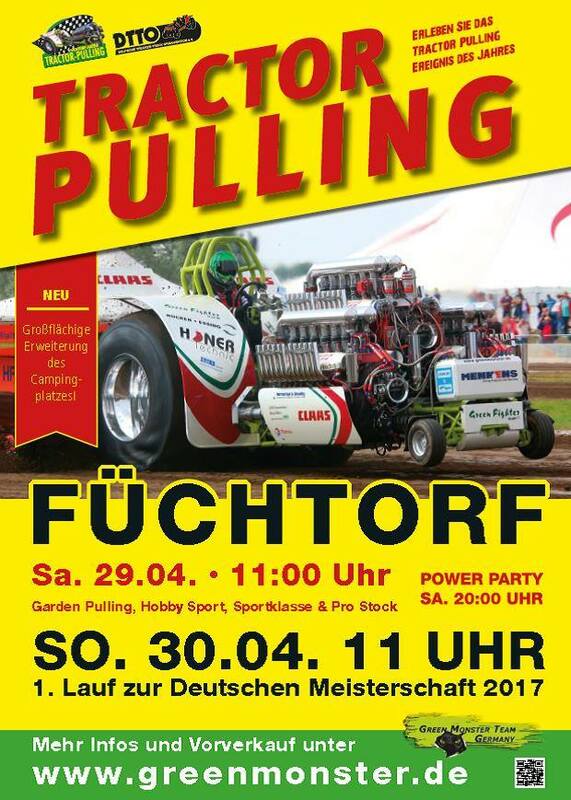 His late father Johann Schnackenberg also was the President of the German Tractor Pulling Association ,,DTTO´´ for many years. Ulf Schnackenberg: Sales manager at one of the largest used Car dealers in Europe. Ulf Schnackenberg: Cycling, travel and spending a lot of time with the Family, because I spend many weekends on the road for the commentating in the summer. 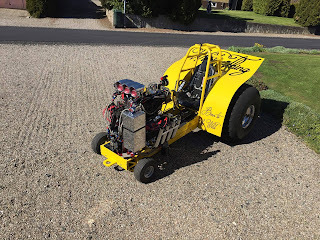 Ulf Schnackenberg: The sound, the power and the people who run the sport, it is like in a big Family no matter in which country you visit a Tractor Pulling event. Ulf Schnackenberg: 1981 in Sottrum (D) as a small boy at the age of 9, my father was an active competitor in the Standard class. In 1982, my Family organized their first pulling event in Oldendorf (D). Ulf Schnackenberg: In the 90s Sottrum (D), Oldendorf (D) and the Windenhof (F). From 2000 Bettborn (LUX) and today it is the big German events like Füchtorf, Hassmoor, Edewecht and of course Grimmen, which I myself organize as a promoter. Ulf Schnackenberg: Although I am announcing at Tractor Pulls for 25 years, I have never even driven a Pulling Tractor on the track. I comment with passion at the events and try to inspire the audience for the sport. 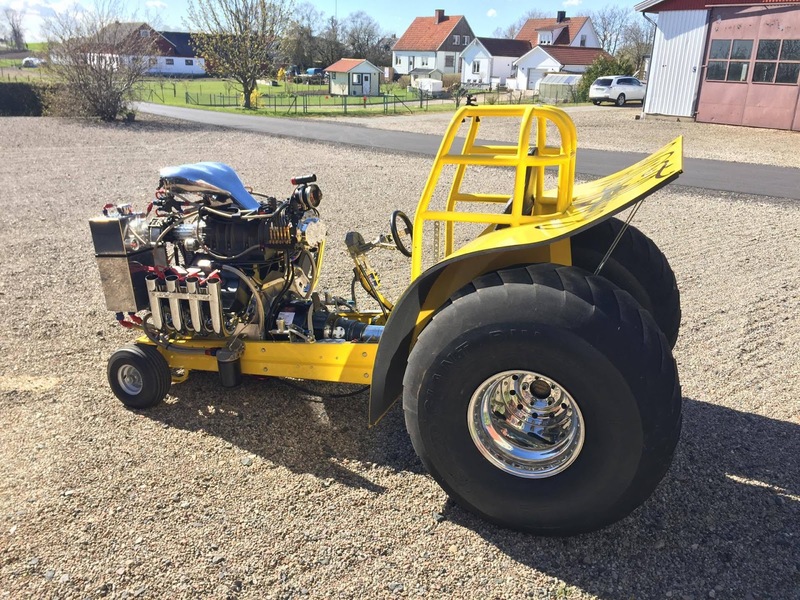 Ulf Schnackenberg: I really like all classes each has its attraction and my enthusiasm is always controlled by the audience with today's TWD and tomorrow's Heavy Modified or Farm Pulling class. Many fans say the Super Stock class is my favorite class, but it's because there are so many riders with whom I can make a great show on the track as an announcer. 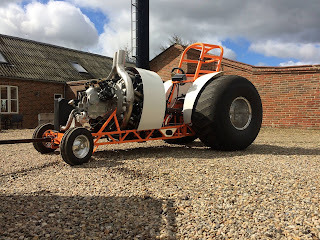 I love all classes where tractors compete with Rolls Royce Griffon engines. Ulf Schnackenberg: The Turbine accident with the Whispering Giant in Edewecht (D) in the late 90s. I had thought about stopping to announce. Today I'm glad I did not do it, otherwise I would not have experienced so many beautiful moments in the past 25 years and met so many great people in all of Europe. 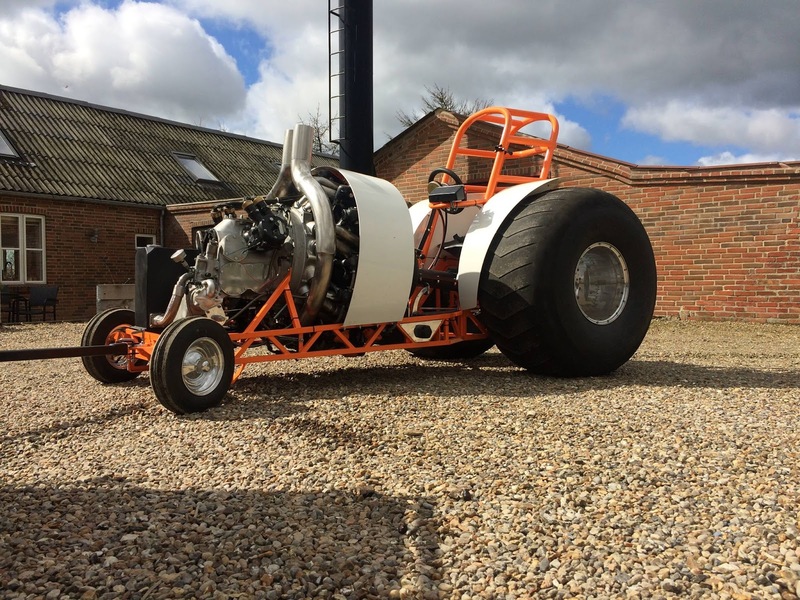 pullingworld.com: Which things must change in the future of the Tractor Pulling sport? Ulf Schnackenberg: I think that we need even more short compact events with max. 4 classes, the same as in Grimmen (D), Edewecht (D) or indoors. The classes must differ from the other strongly Heavy Modified and Light Modified therefore I see in the future also only the 4.2t & 2.8t Modified as classes. In addition, an event need a Super Stock or Pro Stock and Mini Mod or TWD or a Farm Pulling or Truck class depending on the event location. The audience does not want to see a Tractor 4 times on the track without a change. People want to be entertained in their spare time and that is short and compact. One or the other driver working with the audience I would personally like to be a moderator. Ulf Schnackenberg: A few great years as a comentator on the pulling tracks with DJ Dan experience. 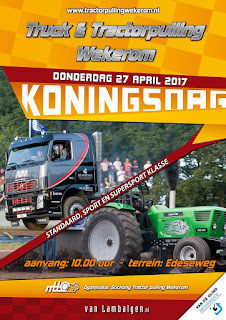 With him, I have found a new great partner, who announces Tractor Pulling with as much passion and love as I've been doing for 25 years. 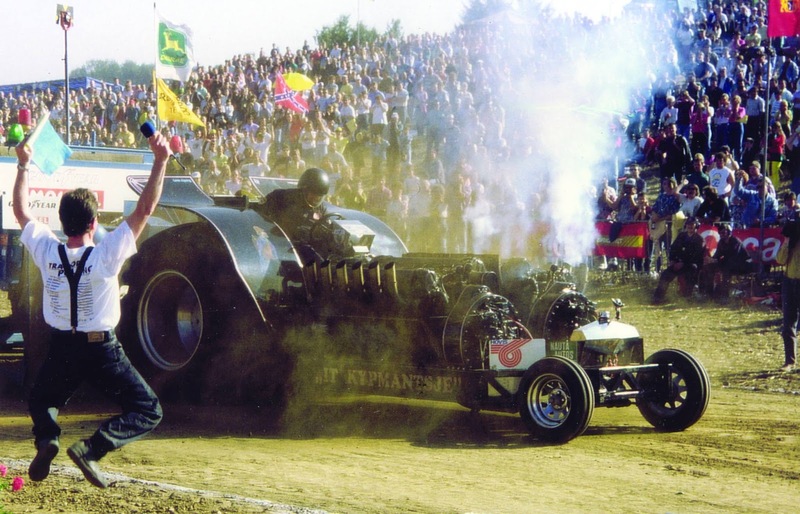 Ulf Schnackenberg: Actually, it is always the moment after the first pull at an event when I notice all this is working, sledge, track, tractor, PA and the spectators cheer and clap for the first time. Boy boy boy this is the madness from there I am 8 hours in a tunnel and it runs cold down my back I love this moment. Ulf Schnackenberg: I would also like to thank Team Oldendorf for the support and many great years. But also to my father, who has stuffed the microphone into my hand at the first event in Grimmen (D) just 25 years ago with the words ,,you are doing this´´ and my uncle Erich who took me as co moderator in the 90s. Without theymI would never have become an announcer. Thank you ! Such a long time is of course only possible if the family accepts and shares the hobby. Only in this way was it possible for me to moderate over 200 Tractor Pulling events in Europe over the past 25 years. Thank you I love you. The new Red Attraction is ready !